Hello, football season! If you are planning on doing any tailgating this football season, you are going to need some easy, delicious tailgating recipes. 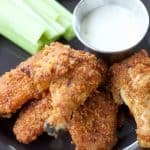 These crispy baked buffalo wings are going to rock your world – as are the other 64 tailgating recipes – just in time for football season! 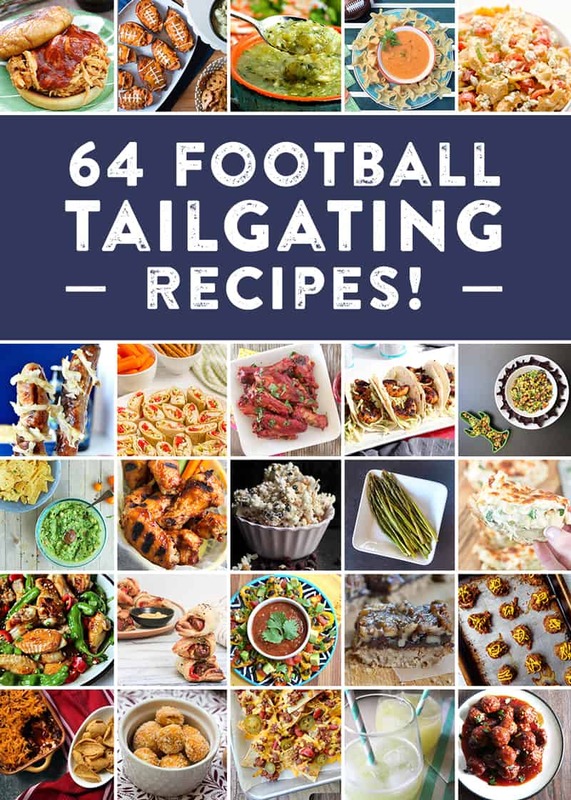 I can’t think of a better reason to pair up with some other football foodies than to share our favorite football tailgating recipes. For my part, as soon as my friends started talking about collaborating around football and tailgating, I knew I had to contribute these crispy baked buffalo wings. Crispy baked buffalo wings are good for tailgating or enjoying on your couch. And, the best part is that they are gluten-free. Now that we have five kids in Charlotte, North Carolina, we have had the opportunity to cheer for the Panthers and watch them make it to the Super Bowl. Basically, I now have approximately three opportunities per weekend for 17 weekends to find an excuse to whip up some fun football foodie recipes. 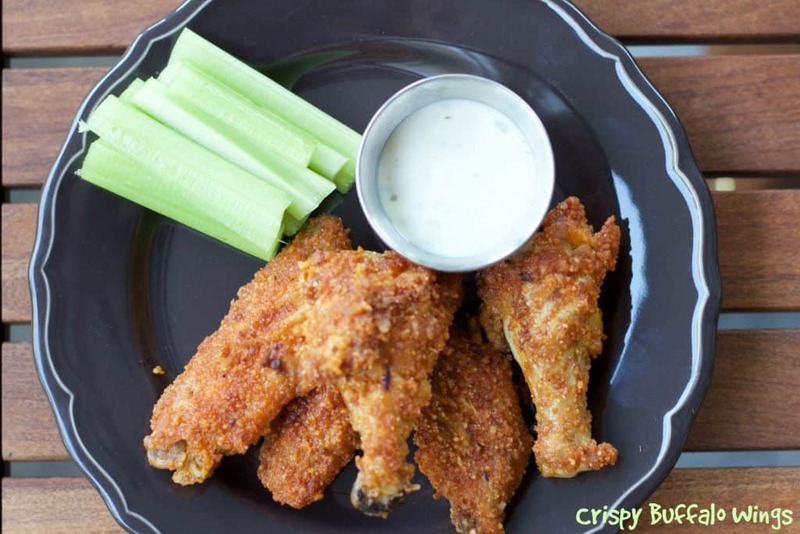 These crispy baked buffalo wings are a family favorite. I usually bake two pans of wings and make one pan buffalo wings and keep the other pan plain. I learned my buffalo wing secrets from the cook at a bar I used to waitress at in Boston. 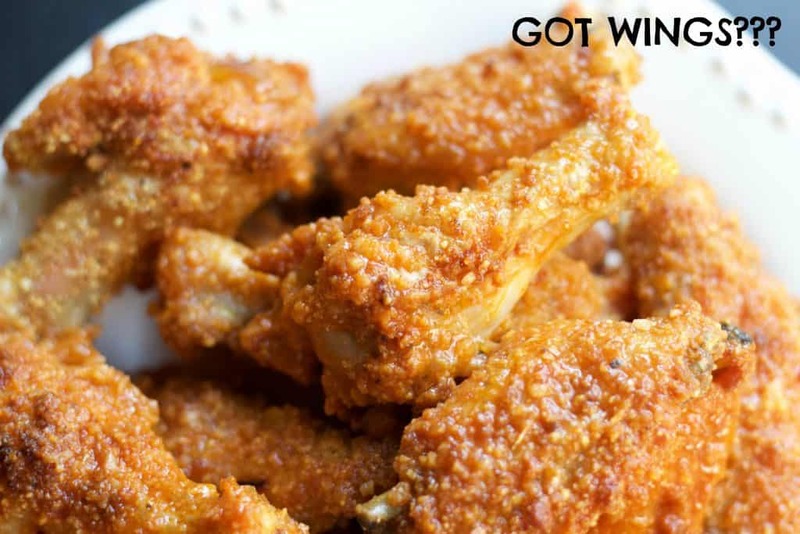 I served A LOT of buffalo wings at work and I loved to watch Paul fry up the wings, shake them in his designated “wing pan” and see beautiful crispy wings magically appear on the plate. Add some celery and bleu cheese dressing and you’ve got yourself one of the best possible football pre-game snacks. 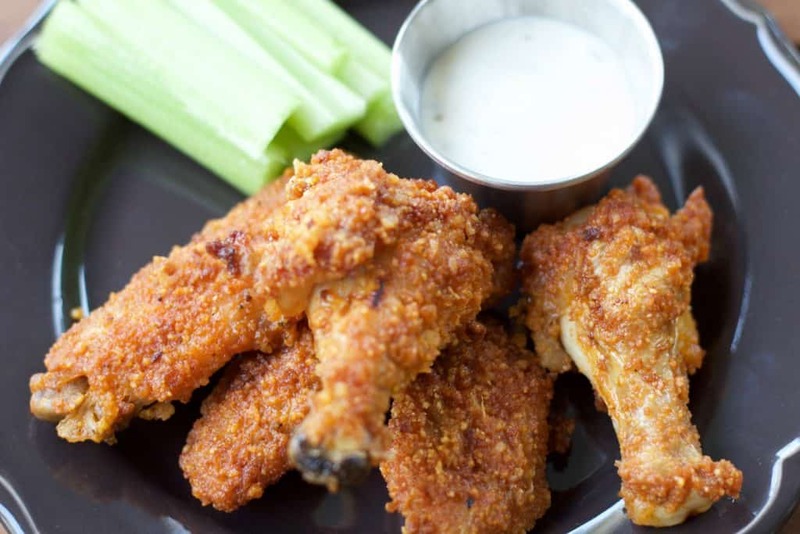 Bake these crispy buffalo wings for a great tailgating treat! Line 2 cookie pans with foil and spray with non stick cookie spray. No matter what team you cheer for, you are going to want to check out the rest of the Football Foodie Tailgating Recipes this week! Oh yum! I never knew that the buffalo sauce + butter was how that wing glaze was done. Definitely filing that tip away for later. And I love that they’re gluten-free because I have a ton of gluten-free friends. Thanks, Stephanie! I don’t know if the butter + hot sauce is the only way to make a great buffalo glaze but it is certainly DELICIOUS!!! I hope you like it! These look SO good and such a cool spin on traditional wings! My husband would love these!! Saving for future game nights!! Thanks, Lynn! These are a HUGE hit here. I hope your husband loves them! These look so amazing and SO crispy! I think crispiness is the key to good wings. What a delicious GF option! Thanks, Jessy! I am with you on CRISPINESS!! It’s a must for me, too! How do you power an oven when tailgating? Haha! Make these ahead and bring them to your tailgating party! They will be delicious! No oven necessary. I’ve made these several times and my family and guests have loved them. Yay for awesome GF recipes that don’t taste GF!!! Thank you. Thanks so much!! I am excited that your family has enjoyed these!